A Hampton Roads native, Noah was born and raised in Suffolk, Virginia. He graduated from Norfolk Academy where he received recognition as an excellent student and athlete. He was honored with the prestigious David Ari Levitt Award for intellectual curiosity, and also received honors in athletics. While at Norfolk Academy, Noah served as the president of the Y.E.S. Club, a mentorship program designed to pair high school students with local troubled elementary school students. In high school, Noah spent his summers working in Connecticut at Camp Hemlocks, a program for mentally and physically disabled children and adults. After graduating high school, Noah enrolled in the University of Michigan, where he earned a Bachelor of Arts Degree, with honors his senior year. At Michigan, Noah continued to actively participate in sports and dedicate himself to the service of others. By far the most rewarding service was as a personal care attendant for one of Michigan's finest students, the late Christopher Rush. Among many accomplishments, Christopher served as a good will ambassador for Jerry Lewis's Muscular Dystrophy Association. http://www.gofarmovie.com/#!trailer/ci3y Noah was also elected by his fellow students to represent them in the University of Michigan's Ashubui Multicultural Organization. He also worked as a manager and bartender at the famed "Brown Jug Restaurant" in Ann Arbor. Noah completed his post-graduate study of law at The Dickinson School of Law of Pennsylvania State University, where he received his Juris Doctorate. In law school, Noah was elected as his class's Student Bar Association representative. He also served on numerous Bar committees and was a member of the Order of Barristers. At Pennsylvania State Noah also met his wife, Amy Weisberg, a fellow law student. Noah and Amy returned to the Hampton Roads area where Noah accepted a job prosecuting violent crimes under the Honorable Linda D. Curtis in the Hampton Commonwealth Attorney's Office. Thereafter, Noah accepted a position prosecuting violent crimes and traffic offenses under the Honorable Howard Gwynn in the Newport News Commonwealth Attorney's Office. In 2006, Noah was recruited by the law firm of Moschel and Clancy, PLLC to practice in the areas of Criminal and Family law. 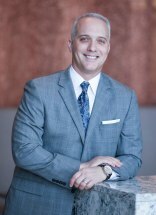 At Moschel & Clancy, Noah gained experience in both areas, representing individuals in serious criminal cases, such as murder, robbery and felony driving under the influence of alcohol, as well as high asset divorces, contested custody disputes, and adoptions. In 2008, Noah opened Noah D. Weisberg, P.L.L.C. in Newport News, Virginia. Amy joined him in 2009 and they became Weisberg & Weisberg, P.L.L.C. He continues to find great reward protecting and preserving the rights and goals of individuals in criminal, traffic, family and personal injury law. Patten, Wornom, Hatten, & Diamonstein, P.C.